South West Edible Estates will be holding their Annual General meeting on Tuesday 18 December 2018, 1.30pm – 3.30pm at the Healthy Living Centre. Celebrate our work as a community,review and reflect on the years activities. 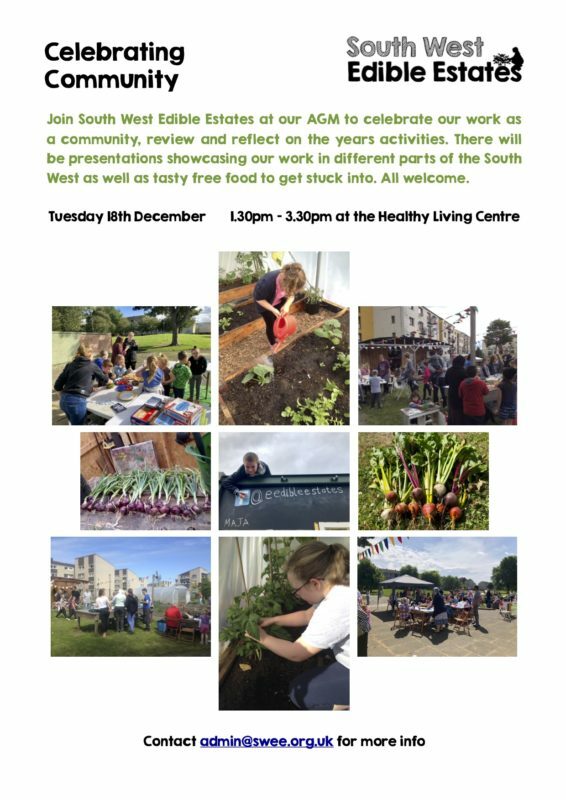 There will be presentations showcasing our work in different parts of the South West as well as tasty free food to get stuck into. All are welcome. For more information contact South West Edible Estates on admin@swee.org.uk. I am Moving near Sighthill late December, or in January.